Grab a cuppa, some paper, a pen and start your Wish List. This helps you get a clearer picture what your dream edible garden will look like. Gather any photos, notes, magazine pics and jot down your ideas. Perhaps start with a black and white sketch, then colour in the details later. Include what you love to eat. Have fun and be creative. Write down whatever you would LOVE to grow in your garden. You can have a reality check and refine your list later! Once you have a direction, give yourself permission to start small. With bite-sized projects, one at a time. Pace yourself! Don’t expect perfection. Every garden is a work in progress. Avoid taking on too much if you have limited time, money or energy. There is great satisfaction in doing a small job well. Less IS often enough! 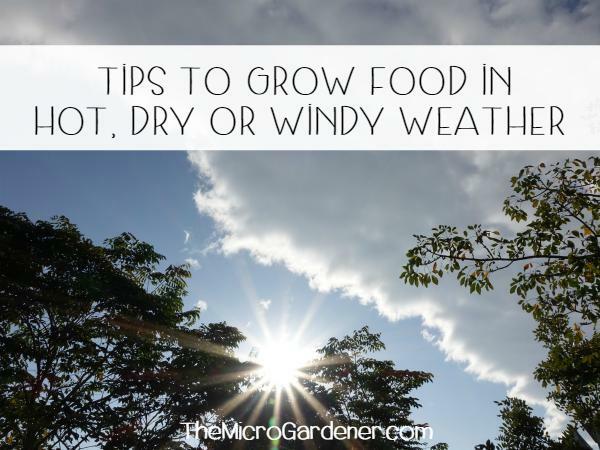 There are loads of micro gardening options, like sprouts, microgreens and container gardens. Add one or two new edibles at a time, rather than lots of plants you’re unfamiliar with. It takes time and effort to get to know every new arrival! Keep your goals SIMPLE. There’s no point feeling daunted and overwhelmed by your goals. Author, Stephen Covey once said “Begin with the end in mind”. 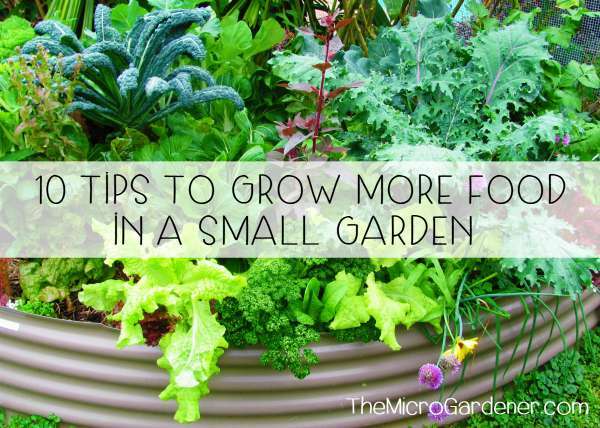 Applying this sage advice to your edible garden will reap you a bountiful harvest. IF you are prepared to spend a little time PLANNING rather than jumping in head first and just taking pot luck. Check out my practical design tips to get started. 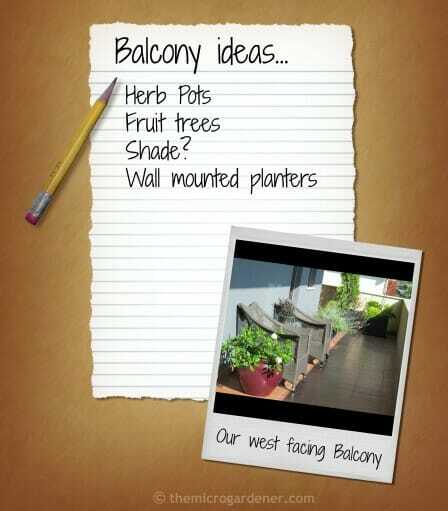 An example with design ideas for an urban backyard kitchen garden. Write down the problems you are having on a piece of paper. There are always solutions. Brainstorm some creative ideas. This process is very empowering! You may surprise yourself with the outcome. You may find your family, friends, neighbours or people in your local community can help. If for example, you don’t have enough organic materials to make compost, perhaps a neighbour would gladly give you their grass clippings and food scraps. If you’re not confident starting your garden, join a local community garden, Permaculture or seed saving group. Many groups welcome volunteers and in the process, you can learn from their wealth of experience. Aim to maximise the use and enjoyment of your space, while minimizing the maintenance. You don’t need to be a garden designer to get started. It does help to understand some basic design and Permaculture principles though. These skills can help you ‘design out’ problems and ‘design in’ solutions. Start with a simple sketch of your site or space. It doesn’t have to be a masterpiece! Jot down everything you know about your garden in a Journal. Keep a record of your planting history, soil pH tests, fertilizers, sunlight hours, microclimates you’ve noticed, plant varieties, seeds you sowed, what you don’t like (e.g. noisy road, lack of privacy) and other details. A Garden Journal is one of the most valuable tools you can own. It can save you time, effort and money. You will have the starting point for making decisions about what needs to change and improve upon. If you need help, I provide garden coaching sessions, face-to-face site visits and reports as well as convenient online consultations. Make time daily to walk barefoot (a healthy habit called ‘grounding’ or Earthing). Not only does this practice have well researched health benefits, but you will also learn so much about your garden. 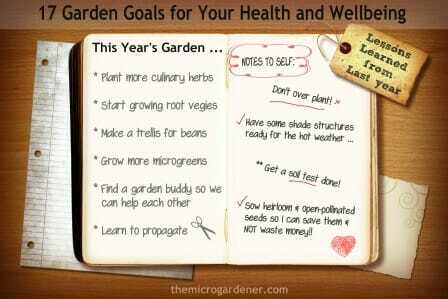 Not only does this practice have well researched health benefits, but you will also learn SO much about your garden. You can sit in a chair or walk around barefoot. I often take my herb tea with me! Grab a magnifying glass and check out new visitors like insects on your plants. Investigate. Become a ‘detective’. Be curious! Listen to the birds. Find out who they are, why they are there and whether you want them as guests. Are your plants looking healthy? Do they need help such as food, water, harvesting or maintenance? Healthy soil should be the main goal for every edible gardener! Once you get your soil right, you will find you have less maintenance, pest/disease problems and healthier plants. If you’re growing edibles, it also means your health will likely improve too, as your food crops will have greater nutrient value. You can start by adding organic matter and making quality compost. Set yourself a goal to improve your knowledge this year. Take a course, read books, try DIY solutions rather than buying new. These simple steps help you become more self-sufficient and save money. Consider learning how to save seeds, propagate new plants for free, make quality compost, start a worm farm or grow a new crop you haven’t tried before. Food gardening is a healthy lifelong habit. When you grow your own food, you naturally eat better – improving your health and wellbeing. By default, you often become a better cook. When you have fresh ingredients, you need to learn how to use them! You get healthy exercise, fresh air and reduce stress, by being in contact with nature. All beneficial outcomes from becoming a more skillful edible gardener. If you have been compromising and still using synthetic or chemical ‘solutions’, consider swapping to organic alternatives. It may require a new mind and skill set, but your health will benefit and so will the living creatures in your garden. If you are frustrated by weeds, you need to learn WHY they are there. Your soil needs work and they are trying to help restore its health. Understanding the wisdom in nature opens a whole world of new solutions. I encourage you to learn to work WITH nature for a healthier, resilient garden that’s safer for you and the planet. This is a goal for every gardener! Not only are our precious honeybees in trouble due to Colony Collapse Disorder and chemically grown commercial crops, but even our home grown edibles can suffer. It’s simple but SO important. All you need to do is offer ‘bed and breakfast’! For being a good host, you will reap the rewards at harvest time with higher yields. Make conscious choices to grow native plants. Grow a variety of flower shapes and sizes. Many herb flowers are attractive to pollinators. Aim to include native flowering shrubs and trees if you have the space. This is an easy but often overlooked task. Are you feeling guilty about those rusty, neglected hand tools? Ideally a quick wipe after each use will keep quality tools in good shape for a lifetime. This saves money and means less consumerism. Regularly sharpen your secateurs. A little steel wool rubbed on any rust should help clean it off. Rub oil onto metal tools with a soft cloth to keep them well lubricated. Use warm soapy water to clean your tools, buckets, stakes and pots. Store them in a dry spot out of the weather. Good hygiene in the garden tool department also prevents accidental transfer of pathogens to your plants, pots and garden beds. A healthy reason to put this goal on your list! Water is a precious resource. No matter where you live, there are many ways to use it more wisely, even in container gardens. Collect your rainwater, install efficient irrigation systems and improve your soil, so it holds more moisture. Take a few minutes to re-evaluate your garden design and watering habits to eliminate inefficient practices that waste water. Every drop counts – and costs! If you have limited water, rethink what plants you are growing. Thirsty edibles may not be a sustainable choice, so consider growing them as microgreens instead. Improve your health and wellbeing with an easy indoor garden. Microgreens are a quick easy solution for intense food farming in a tiny space. Nutrient-rich fresh ingredients are within reach of everyone. Reflect on what is doing well in your garden – and grow MORE of it. Are other plants struggling? Perhaps it’s time to compost them! If things get too hard, pull back on your expectations and do less. 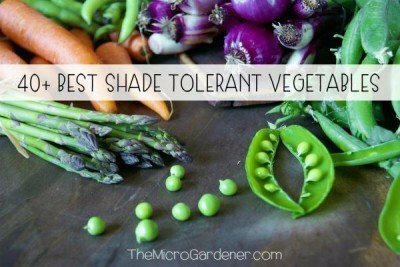 Or just mulch your garden and wait for more favourable conditions. 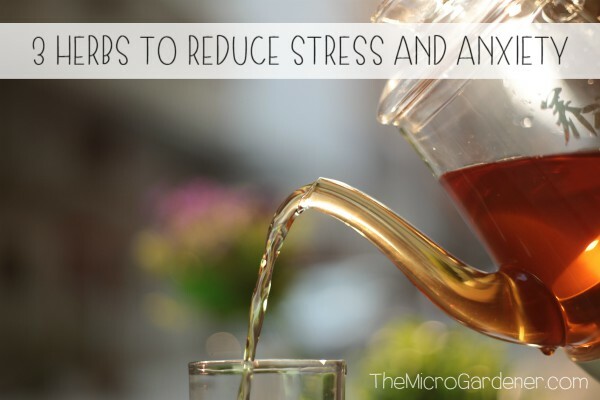 This reduces stress and puts you in control, so your garden doesn’t ‘own’ you. It’s there to serve your health and wellbeing, so be tough if you have to! Aim to create a sustainable garden – one that is in balance and not more than you can manage. There are SO many easy ways you can live more sustainably. Little steps and simple changes can make a BIG difference. Try to reuse and repurpose more often. Compost kitchen scraps to recycle nutrients. This builds plant health as food cycles from the garden back onto your plate. Make your own potting mix or revitalise and reuse old soil mix, rather than buying commercial mixes. Try DIY garden projects and upcycle containers rather than buying new ones. Make conscious choices about the suppliers you buy from. Support seed companies who grow and supply certified organic, heirloom and open-pollinated seeds. This goal alone can help preserve healthy seeds for many generations. Plus you’re not eating GM-contaminated or chemically treated food. You get the idea. Just look for opportunities to green your environment. Your health and wellbeing will benefit! In a busy world, a garden gives you the opportunity to feed your mind, body AND soul. I’ve designed my edible kitchen garden to also be ornamental. It’s a space that is visually beautiful, fragrant, produces abundantly, provides ‘bed and board’ for pollinators and birds, cut flowers, privacy, culinary herbs and healing medicinal plants. It’s a visual feast as well as an edible one! If you love what your garden looks like, believe me, you’ll enjoy spending more time there. No matter how small, you can still squeeze in a nook with a seat, table and somewhere to relax. Ideally, in amongst fragrance, colourful flowers and herbs. Health and wellbeing is not just about eating nutritious food. It’s also soaking up sunshine and nature. We all need space for peace and reflection. Why not aim to introduce your children (or a relative’s) to the joy of gardening this year? Some of my fondest childhood memories are in our backyard, our neighbour’s garden and on my grandparents’ farm. I remember discovering plant names, picking and tasting fresh food, smelling fragrant herbs and flowers. I loved digging, planting, holding chickens, collecting warm eggs, sitting in the shade of a fruit tree … using my imagination! I learned to connect the dots between crops outdoors and food on our table. I so appreciate my family sharing these joyous experiences with me. Today, I love passing my passion and knowledge on to children. Visit my Gardens for Kids articles for fun DIY ideas. I’m sure you know children who would love the opportunity to learn from you too. Share the health benefits! These are ‘seeds’ worth sowing. Last – but certainly not least – savour the feeling of pride you feel with every little success. Find joy in small things. Celebrate when you pick a flower, harvest your first fruit or make a meal with your own home grown ingredients. These are satisfying rewards for effort. Garnish a plate with fresh herbs. Smile at the beauty and abundance you’ve created. Pick a bunch of fragrant flowers and pop them in a vase to enjoy. Take photos for your garden journal. Diarise successes like pollinators visiting your garden, beneficial insects doing the pest management for you and disease-free crops. This shows you are increasing biodiversity in your garden and nature is rewarding you. Read a book to learn more about how to grow your own healing herb garden. Sit back and just soak up time in your garden. A drop of ‘grape juice’ never goes astray while relaxing in the garden! Here’s to a wonderful year in your edible garden. So, those are my suggestions for setting goals. Perhaps make these your New Year’s garden resolutions. Simple goals to improve your health and wellbeing. What are YOU looking forward to doing in your garden this year? Thank you for sharing your ideas they inspire, and delight me. I have been making stabs at my landscape, not designing from a wish list. This is especially embarrassing since I studied landscape design. Thank you again for your generosity! Happy to help Betsy. I have studied interior design and Permaculture and apply these principles to designing my garden and assisting clients. I find it a creative process, weaving beauty into a productive edible garden. Enjoy planning your Wish List! Happy new year and lots of good gardening to you and all those that enjoy the blessings that our green environment give us , however large or small. I am lucky to live on acreage and also have alpacas to supply some nutrients for my raised gardens made from old dead fridges. 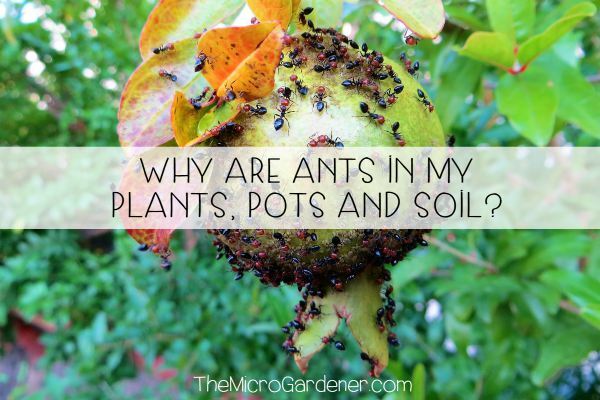 They work well as gardens, and keep the soil at a height that my aging body can manage, and I seem to have very few insect problems. I have put most of the beds on the back burner until this heat goes and will top up all the beds with mulch and some compost, ready for some cooler weather. I also want to create some shade over the area as it is just too hot to work and no good for the plants. It is a lot of trial and error, lots of error unfortunately. I seem to be able to grow onions which is good as we use a lot , so will put more in this time. I have several composting bins and my husband has made me a large corkscrew implement to stir it all up as with both hips replaced and one done again after I dislocated it while gardening, I am waiting for my knee replacement in the next few weeks. Thank you for your interesting articles and keep it coming as we all need inspiration. Regards Jan B.